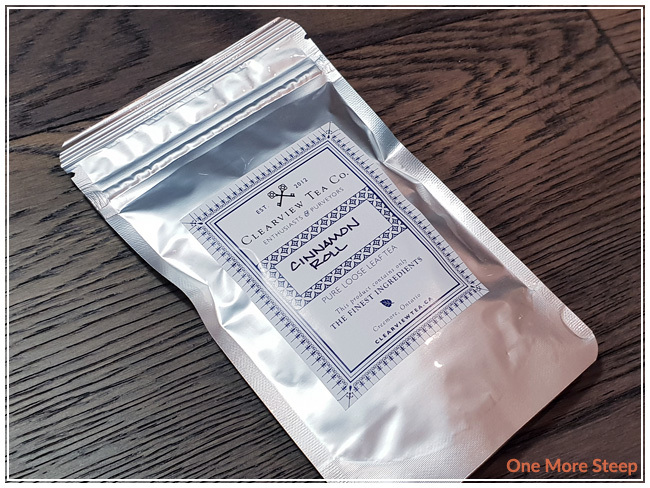 Clearview Tea Co’s Cinnamon Roll came to me as part of The Sugared Teacup’s October themed subscription box. I learned about Clearview Tea Co via The Sugared Teacup! The tea itself comes in a sealed (resealable!) foil bag with a clear, plastic back so I can see the tea before even opening it. 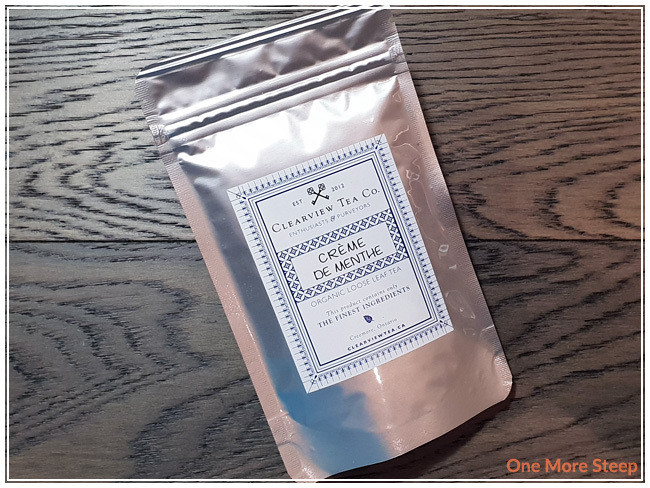 The name of the tea is handwritten on the label – what a nice touch (and lovely penmenship!). The steeping instructions and ingredients list are on the back, along with the contact information for the tea company. Cinnamon Roll smells like cinnamon – there’s a hint of sweetness that makes me think of those cinnamon heart candies that show up around Valentine’s Day. 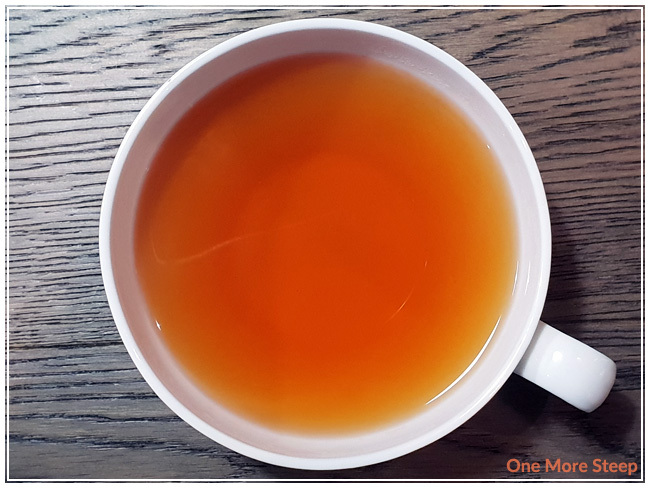 I love how easy it is to see the ingredients in this black tea blend, and the strength of the cinnamon in it. 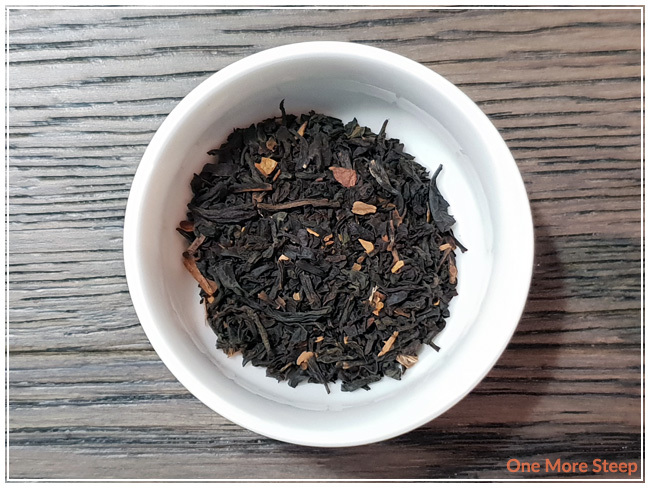 The aroma of the black tea base peeks through the cinnamon, and it reminds me a bit of an Assam – just a slight malty aroma to it. Cinnamon Roll consists of: black tea, cinnamon, and natural flavour. Clearview Tea Co recommends steeping Cinnamon Roll in 190-205°F (88-97°C) water for 3 to 5 minutes. I opted to use my Breville IQ Kettle‘s Oolong setting (195°F/91°C) and steeped Cinnamon Roll for 4 minutes. Cinnamon Roll steeps to a beautiful golden orange. 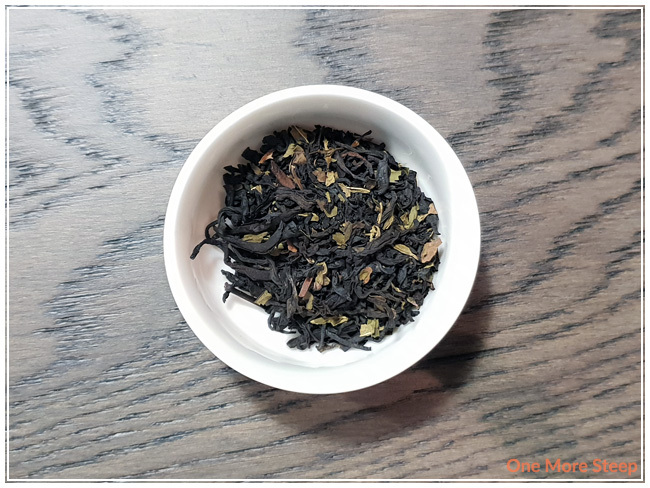 The cinnamon aroma from the steeped tea is lovely, it’s warm and inviting and does remind me a lot of baking. 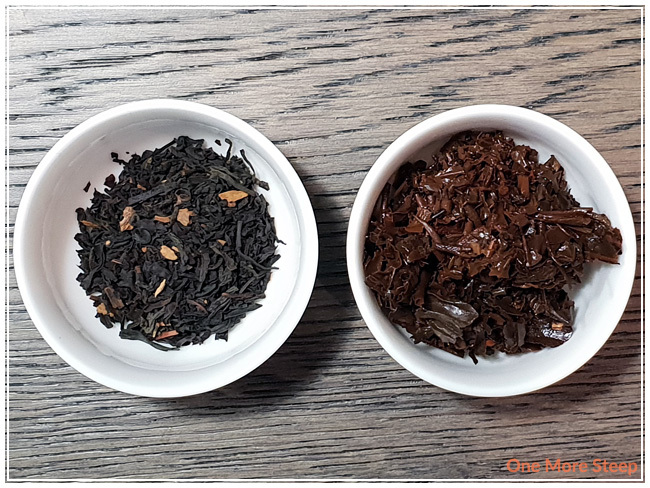 The black tea base is more obvious in the steeped tea than in the dry leaf form, there’s a mild malty flavour that I’m fully attributing to the black tea. 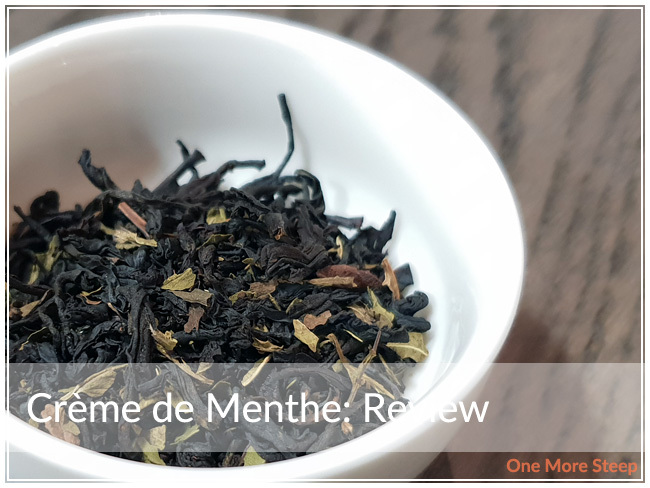 It’s a nice tea on its own, I think it could be really elevated by sweetening it with a little bit of brown sugar, and adding a bit of cream – which I did do. I found that this made it both taste and smell more like a cinnamon roll. I resteeped Cinnamon Roll twice – adding an extra 30 seconds for each steep. 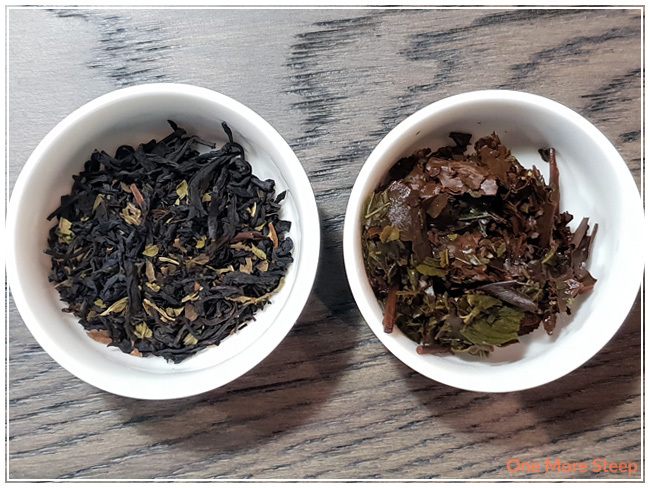 I found that the first resteep was very similar to the initial steep in terms of flavour and strength, while the second resteep was lacking the cinnamon flavour. I would say that Cinnamon Roll is good for one more steep. I liked Clearview Tea Co’s Cinnamon Roll. I think the cinnamon flavour was on point, and the black tea base is pleasant to steep and drink. The cinnamon flavouring doesn’t make me think of cinnamon roll – yet! 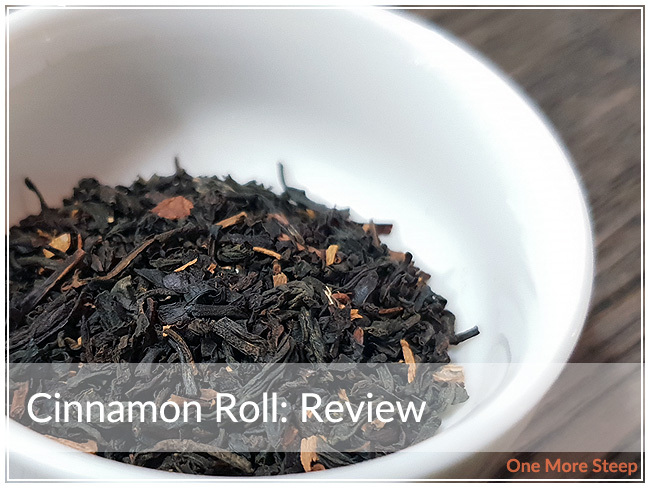 If you add a touch of brown sugar and cream to it, it really does make it taste like a cinnamon roll (which is the namesake for the tea, after all!). Like the black tea on its own, love it with the brown sugar and cream because it just really elevates the flavour and reminds me so much of an actual cinnamon roll. 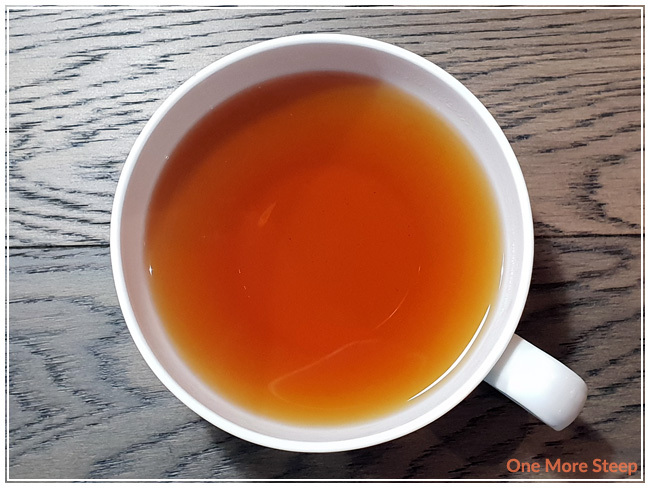 This is definitely a dessert black tea, and would highly recommend pairing it with afternoon tea goodies or all those holiday baked goods you’ve got in your house (you know the ones I mean! ).